Bill Brack won his third successive Canadian title but at least this time had upgraded to modern machinery with a red STP-backed Chevron B29. His closest competitor in a sometimes fractious season was Bertil Roos' Ecurie Canada March 75B, the Swedish ex-F1 driver now earning a living in the US as a race instructor. Last season's discovery Tom Klausler was back with a new Carl Haas-backed Lola T360 but Canada now had its own young star as Gilles Villeneuve made up for a dismal 1974 season with a win in the pouring rain at Gimli in his privately-run Skiroule-liveried March 75B. The other race winner in 1975 was Elliot Forbes-Robinson who interrupted a F5000 career to drive a Penthouse-back Bill Scott Racing Lola T360 to two victories. Fred Opert's team had a poor year, its Chevron B29s being off the pace until Gitanes money paid for a three-car team of professionals at Trois-Rivières. Doug Shierson's team of March 75Bs also struggled until he put F1 star Vittorio Brambilla in one of them for Trois-Rivières and he won, leading home the trio of Opert Chevrons. Had there been a Canadian Formula Atlantic championship of makes and models in 1975, it would have been a three-way battle won by the Lola T360 on 329 points from the March 75B on 269 and the Chevron B29 on 255, exactly reversing the positions from 1974. However, if the two non-championship races were taken into account, Chevron would have pipped Lola by a tiny margin. 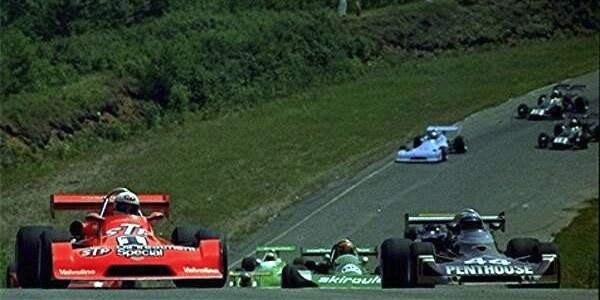 Across all Pro races, including the non-championship Trois-Rivières and Brainerd races, March built 99 of the 273 starters, Chevron 74, Lola 65, Tui 14 and Brabham 12. A Ralt appeared just once and failed to qualify from its heat. The three marques were very closely matched and their success in 1976 would be largely influenced by the efforts of the importers, Chevron's Fred Opert, Lola's Carl Haas and March's Doug Shierson. The dark horse was the Ralt, designed by Ron Tauranac whose Brabhams were so fondly remembered across the US.